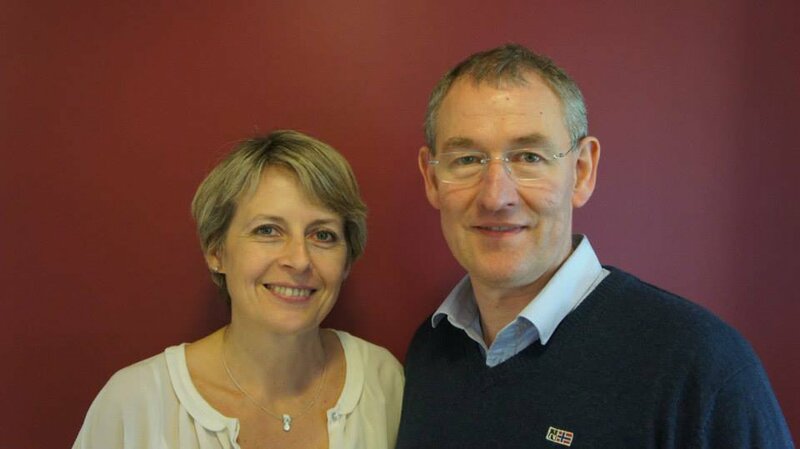 Corinne and Philipe Ehrhart (with help from the whole family) produce distinctive Alsatian wines at Domaine Saint-Remy spanning the full spectrum of distinctive sweetness the region is known for. 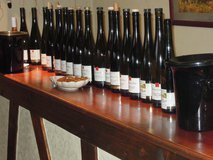 Their range includes Riesling, Pinot Gris, Gewurtztraminer, Pinot Noir, Pinot Auxerrois, and Muscat. 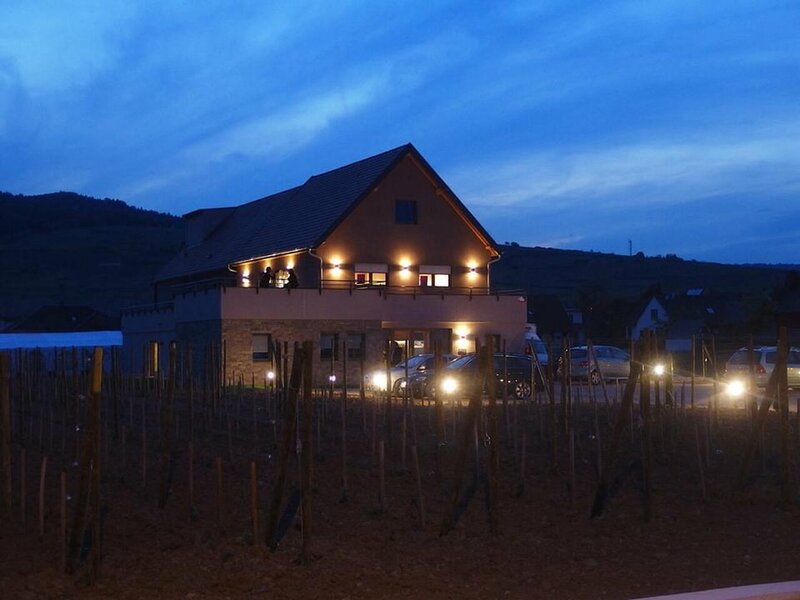 Nestled in Wettolsheim is the newly built winemaking cellar and tasting area that opened in April 2014, pictured. 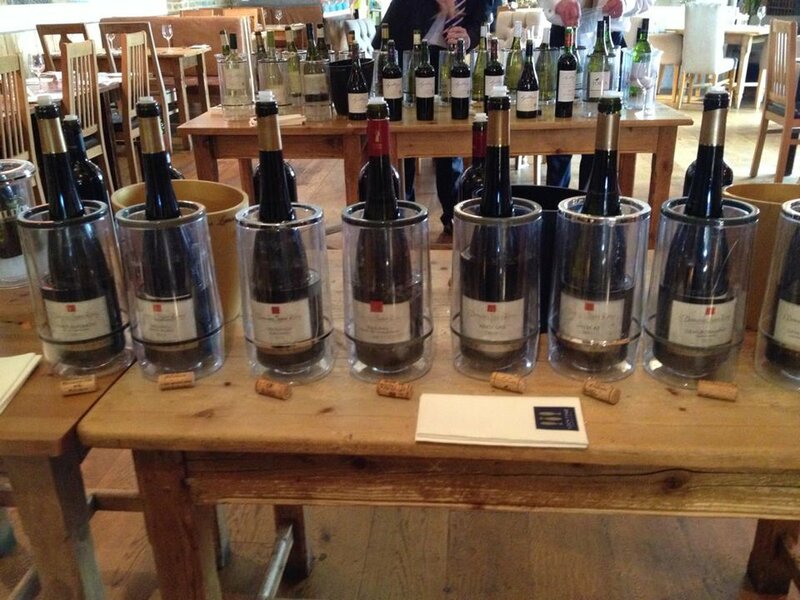 We first invited Corinne and Philipe to our Oxford tasting back on the 3rd of June 2014, and they visited most recently for our July 2016 early summer tastings. 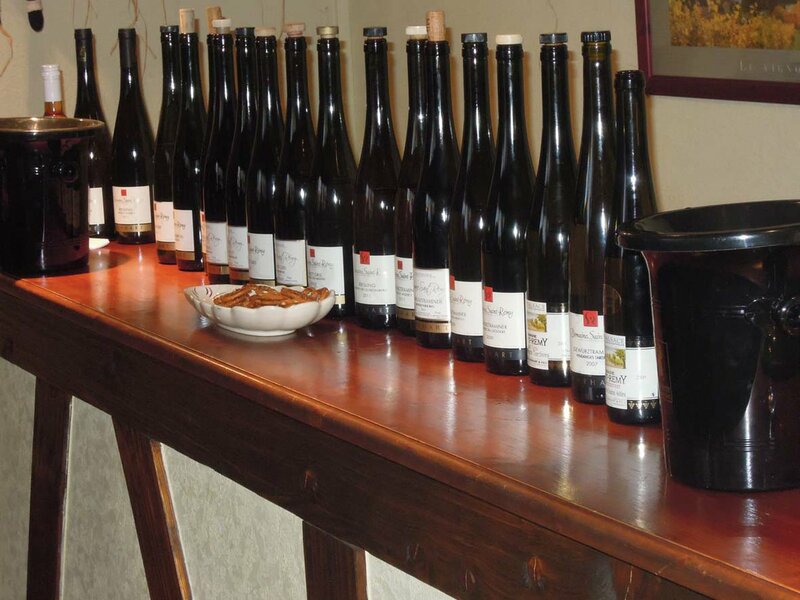 The Ehrhart family have been farming the divers terroirs of Alsace since 1725. Based in the village of Wettolsheim, five kilometers West of Colmar, Philippe and Corinne Ehrhart farm their 24 hectares organically and bio dynamically among 11 communes within the Haut-Rhin. Their vineyards are Demeter certified biodynamic. The grapes are harvested by hand. Traditional method. The Ehrhart family have been farming the diverse terroirs of Alsace since 1725. Based in the village of Wettolshiem, five kilometres west of Colmar. There are 24 organic and biodynamic hectares among 11 communes. The vineyard is located near the town of Wintzenheim. Marno sandy limestone soils. The vineyard is Demeter certified biodynamic. The Ehrhart family have been farming the diverse terroirs of Alsace since 1725. Based in the village of Wettolshiem, five kilometres west of Colmar. There are 24 organic and biodynamic hectares among 11 comunes. The soil is sandy alluvial which is rich in clay deposits (22%) and free of limestone. The vineyard is Demeter certified biodynamic. The Ehrhart family have been farming the diverse terroirs of Alsace since 1725. Based in the village of Wettolshiem, five kilometres west of Colmar. There are 24 organic and biodynamic hectares among 11 communes. The Vineyards consist Marno limestone. This soil allows the achievement of all Alsatian grapes. The vineyard is Demeter certified biodynamic. The Ehrhart family have been farming the diverse terroirs of Alsace since 1725. Based in the village of Wettolshiem, five kilometres west of Colmar. 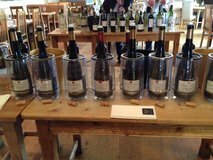 There are 24 organic and biodynamic hectares among 11 communes. The Vineyards consist of Marno limestone. This soil allows the achievement of all Alsatian grapes. The vineyard is Demeter certified biodynamic. The Ehrhart family have been farming the diverse terroirs of Alsace since 1725. Based in the village of Wettolshiem, five kilometres west of Colmar. There are 24 organic and biodynamic hectares among 11 comunes. 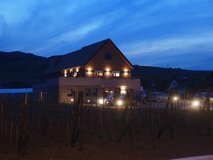 The Vineyards located in Val Saint Grégorie consist of sandy soils with granite-clay on gentle slopes with southern exposure. This soil allows the achievement of all Alsatian grapes. The vineyard is Demeter certified biodynamic. The grapes are harvested by hand followed by a long traditional vinification using only native yeasts. The Ehrhart family have been farming the diverse terroirs of Alsace since 1725. Based in the village of Wettolshiem, five kilometres west of Colmar. There are 24 organic and biodynamic hectares among 11 communes. The Vineyards located in the town of Zimmerbach consist of granite on steep slopes with southern exposure. This soil allows the achievement of all Alsatian grapes. The vineyard is Demeter certified biodynamic. The grapes harvested by hand, they are graded with particular care. The wines are left to macerate in their fine lees for 6 to 8 months, taking on their aroma before the filtering process. The Ehrhart family have been farming the diverse terroirs of Alsace since 1725. Based in the village of Wettolshiem, five kilometres west of Colmar. There are 24 organic and biodynamic hectares among 11 communes. The Vineyard is located on hills with granite and warm floors overlooking Turckhiem on the south east rising to a height of 380metres. A mixture of sandy and course soils. All Ehrhart vineyards are Demeter certified biodynamic. The Ehrhart family have been farming the diverse terroirs of Alsace since 1725. Based in the village of Wettolshiem, five kilometres west of Colmar. There are 24 organic and biodynamic hectares among 11 communes. The Vineyards consist of calcareous clay. This soil allows the achievement of all Alsatian grapes. The vineyard is Demeter certified biodynamic. The Ehrhart family have been farming the diverse terroirs of Alsace since 1725. Based in the village of Wettolshiem, five kilometres west of Colmar. There are 24 organic and biodynamic hectares among 11 communes. The slopes of the Schlossberg vineyard extend to an altitude of 230 to 350 metres migmatites of Kayserberg and intrusive granit of Thannenkirch, the areas are excellent an terrior mineral fertility, Course sand and clay. The richness and diversity of minerals encountered (potassium, magnesium, fluorine and phosphorus) determine the finesse and multiplicity of the wines. The vineyard is Demeter certified biodynamic. The soil is only composed of Tertiary border conglomerates with calcareous marls. These talus slope formations consists of limestone boulders of limestone boulders of different geological layers, but also of sandstone pebbles near the top of the slope. They develop shallow, stony, mostly calcareous soils. Southeast facing at an altitude of 340 metres. The Ehrhart family have been farming the diverse terroirs of Alsace since 1725. Based in the village of Wettolshiem, five kilometres west of Colmar. There are 24 organic and biodynamic hectares among 11 communes. The vineyard is located near the town of Wettolshiem. Dominant Clay-limestone soils. The vineyard is Demeter certified biodynamic.